Sure, it’s only six looping seconds of the film at a time, but Oscilloscope Laboratories has released “It’s a Disaster” from its Vine account. Vine grabbed hold of the Internet’s attention in January and it hasn’t let go since. It was clear from the moment the nascent video-sharing app was introduced that it might have an impact on the way (very) short movies are made and shared, and now it has affected the distribution of feature-length films as well. 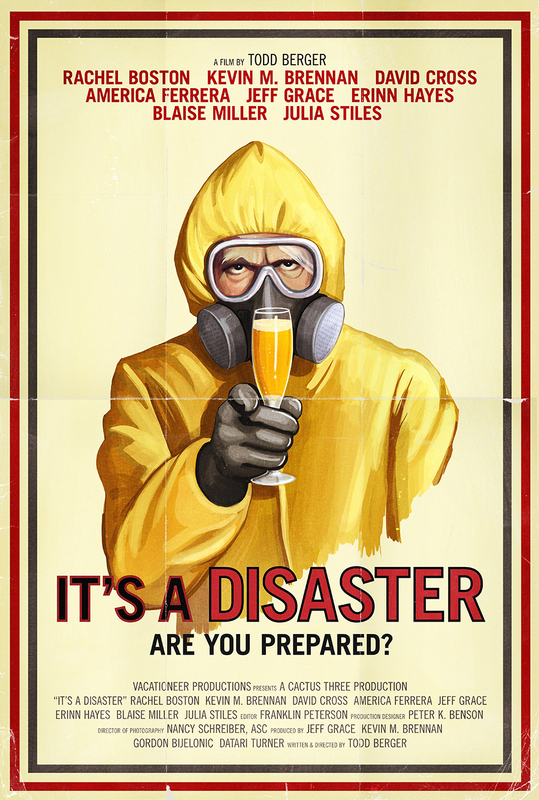 On Tuesday, February 19th, collaborative movie studio Oscilloscope Laboratories released most of the brand new film, It’s a Disaster, on Vine. This was no minor project for the company either, mind you, but rather a narrative feature starring David Cross and Julia Stiles. And now it’s out in the world. Anyone paying attention to the studio’s Twitter account, couldn’t miss the barrage of Vine-related tweets starting around 4:30 p.m. For about an hour, a new tweet appeared every few minutes, sending short snippets of the movie into the ether. Although it’s difficult to get a comprehensive feel for the movie from the Vined clips, it feels worthwhile to try, just for the experiment of it. Watch several of the Vines below and go to the studio’s account for the rest. See the entire thing via Twitter.